The Abridged: Owner Aditya has turned this former apartment block into a sleek, chic, six-room guesthouse in a des-res part of town. 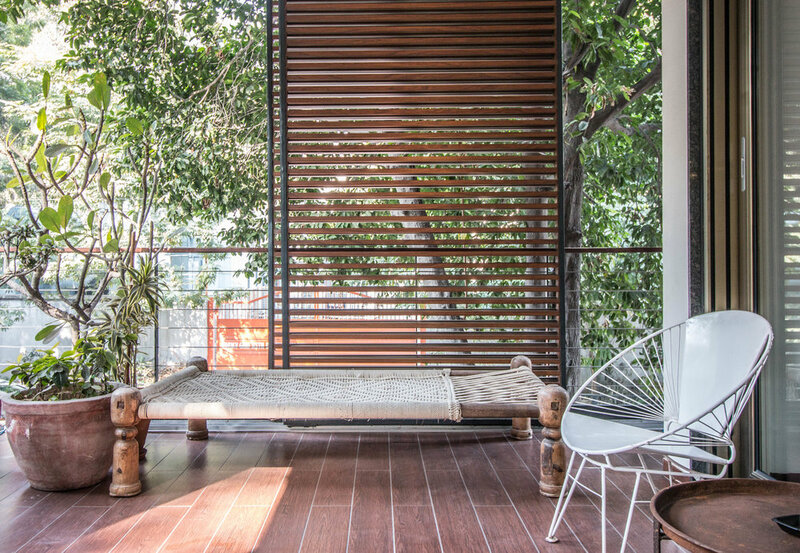 Setting new heights in New Delhi, Bungalow 99 allows guests to live like a local. Thoughtful touches like in-room air purifiers and homemade cookies set it apart from the rest. 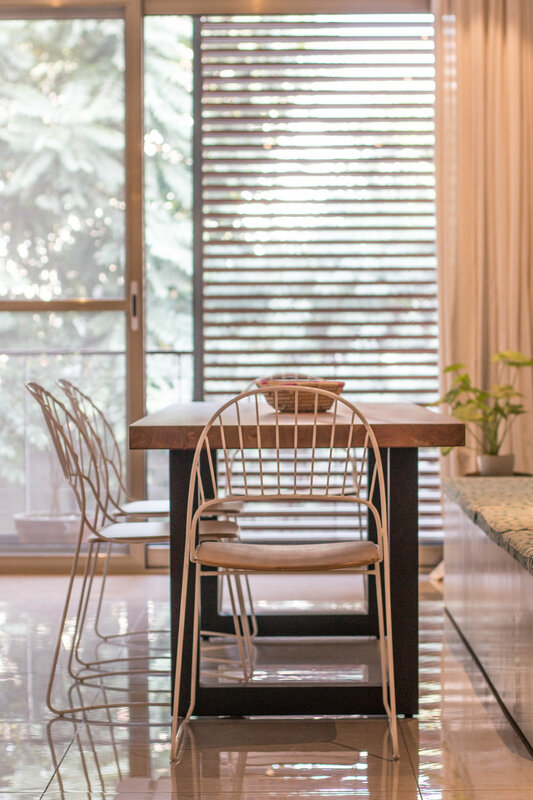 When the property market in Delhi crashed, owner Aditya was left with a rather smart, rather unsellable six-floor apartment block in an enviable location. A financial analyst by trade, he ran the numbers, and saw that with an initial injection of funds, heart, and soul, that running it as a hotel could be much more financially viable. Ok, it might not sound like the most romantic of stories but how many characters were built in the face of adversity? Hiring in the help of acclaimed French designer Pio, of The Rose Studio fame, to inject some artistic flair and fast forward a couple of years: voila! You have Bungalow 99. Sink-into mattresses, feather duvets, cloud-like pillows, and black out curtains: everything is done to ensure a good night’s sleep at Bungalow 99. So whether you’ve just got in off a long haul flight, or you just like a lie your night will be a peaceful one. Palettes are muted off-whites and greys with cheerful Safomasi print upholstery and sleek copper and mother of pearl finished in the bathrooms. 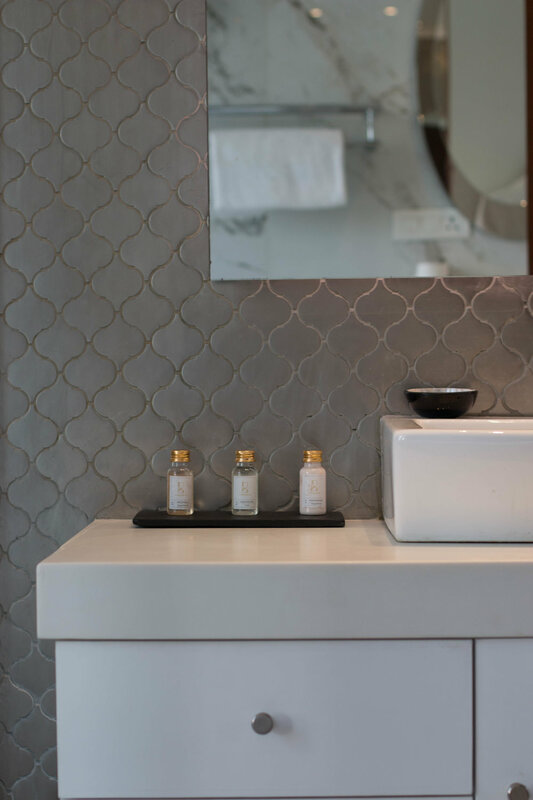 Thoughtful extras such as an air purifier in every room and zesty personalised toiletries add an extra touch. As do the landline phones. You might be in the centre of town, but reception is spotty, guests can use them to make local calls. Breakfast is served downstairs in a café-esque reception area. It feels like one of the bookshops that sells coffee too (or coffee shops that sells books) and is a great space to plonk yourself with a laptop for company. Breakfast is made to order and you can choose from proper coffee and a selection of teas, or fresh juices and smoothies. Everything from healthy fruit salads, porridges, and cereals to pancake stacks and syrupy waffles, or eggs to order. You can be as saintly or indulgent as you like. 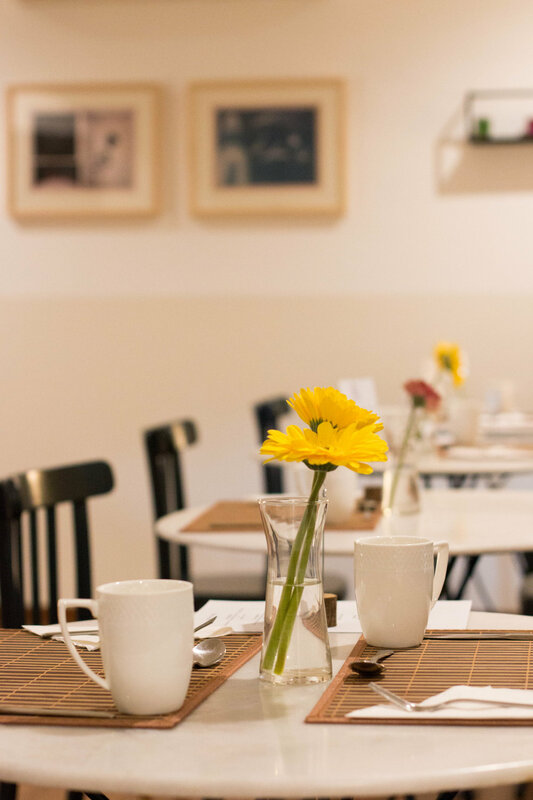 Lunch and dinner can be made by prior arrangement, but teas, coffees, and cakes and cookies are available throughout the day. You’re also walking distance from the popular Defence Colony market, and you’ll find a list of recommended restaurants in your room. Each floor also includes a fully functioning kitchen, so you can make a cup of tea or heat up meals as you like. It really feels like a home away from home. This is emphasised by the open-plan living areas, which encourage guests to congregate outside of their rooms. Serviced apartments are also available for longer stays.